AVRUL, the Limousin Office for University Knowledge Transfer, was created jointly by the University of Limoges and the Regional Council of the Limousin in January 2008. Its main task is to facilitate the transfer of knowledge from the University’s research laboratories – from project to turnover! As a true interface between the research and business worlds, AVRUL provides support in establishing partnerships. – facilitating collaborative research and the dissemination of its results. AVRUL provides a comprehensive integrated service and has all the skills required to support an innovative project, from its first steps to its commercial development, and on international markets. 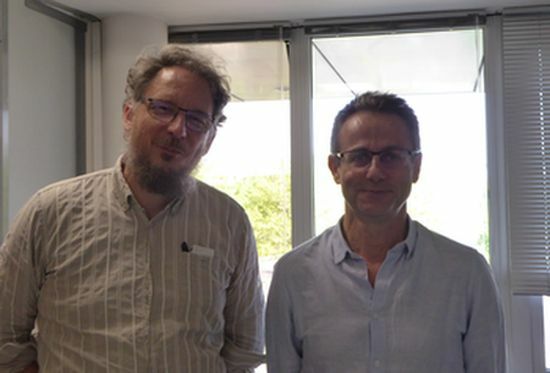 AVRUL relies on the cutting-edge skills of its business experts who support projects and project developpers both from the University of Limoges’ laboratories and outside, right up to the achievement of tangible results. It is an organisation built on a human scale, covering the entire knowledge transfer chain through results-focused operational actions. AVRUL’s experts (legal, financial, technical, economics, marketing, coaching, intellectual property, HR) each have a high-performance professional network used to accelerate project development. By making it easier to access the University’s innovations, AVRUL plays a role in the region’s economic influence.